Systematic Kinesiology Training Course Tutor T.A.S.K Cert T.A.S.K Dip. In 1994, Vanessa began her journey in Natural Healthcare when at the time she was a Media Publisher of both Health and Fitness and Women’s Health Magazine in London. 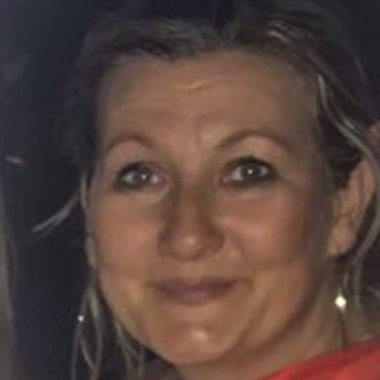 Vanessa was very privileged to have the opportunity to experience new holistic therapies and spa treatments both in the UK and overseas which took her on a journey to discover the power of Kinesiology, Nutritional Therapy and Lymphatic Drainage. After Vanessa’s first Kinesiology session she knew this had to be part of her life and made the decision to leave Publishing and embrace a new career in Clinical Health Therapy and Tutoring. Vanessa studied with TASK completing the Foundation, Practitioner and Diploma courses many moons ago. Her first main Practices were in Sports and Health Clubs both in Dartford and Chislehurst in Kent/South East London. 11 years ago Vanessa set up her own dedicated Health and Wellness Clinic in Bexley Village (Health’s Angels) where she practises Kinesiology therapies and select training workshops. Amongst RejuvaDetox therapy Vanessa also incorporates within appropriate sessions Meridian Tapping Therapy, EFT and Matrix Imprinting along with BACH and Nutritional Therapy. As Kinesiology is such a deep passion of hers she felt compelled to share these life transformational techniques so she qualified to teach the Foundation Course in 2008 . Vanessa also teaches as an Accredited Tutor on both TASK Practitioner and Diploma Courses. She is very grateful for the thousands of Kinesiology clients that she has been blessed to treat over the years which has given her a rich and deep understanding of how our emotional, physical, energetical and nutritional realms are intrinsically linked and how each one influences the other significantly. When Vanessa teaches she utilises the depth and insight from my clinic practise sharing with her students real life case study examples coupled with in depth nutritional and Bach flower training so that they feel confident and excited in their learning journey. It is of great importance to Vanessa that her students absorb and understand the information in both a practical and academic way coupled with fun and enthusiasm- laughter is a key part of her teaching as we soak up more when relaxed and happy. The demonstrations are fun, real life and motivational providing a strong platform for the many hours of dynamic workshopping. Vanessa love’s expanding her knowledge and self-development, as she feels it is so important to evolve with my practice and my clients.